USCIS changing policy on accrued unlawful presence! Home » USCIS changing policy on accrued unlawful presence! On May 11th, 2018 U.S. 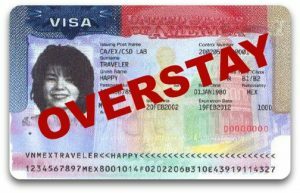 Citizenship and Immigration Services (USCIS) posted changing how the agency will calculate unlawful presence for students and exchange visitors in F, J, and M nonimmigrant status, including F-2, J-2, or M-2 dependents, who fail to maintain their status in the United States. This policy will go into effect on Aug. 9, 2018. • The day after an immigration judge, or in certain cases, the BIA, orders them excluded, deported, or removed (whether or not the decision is appealed).